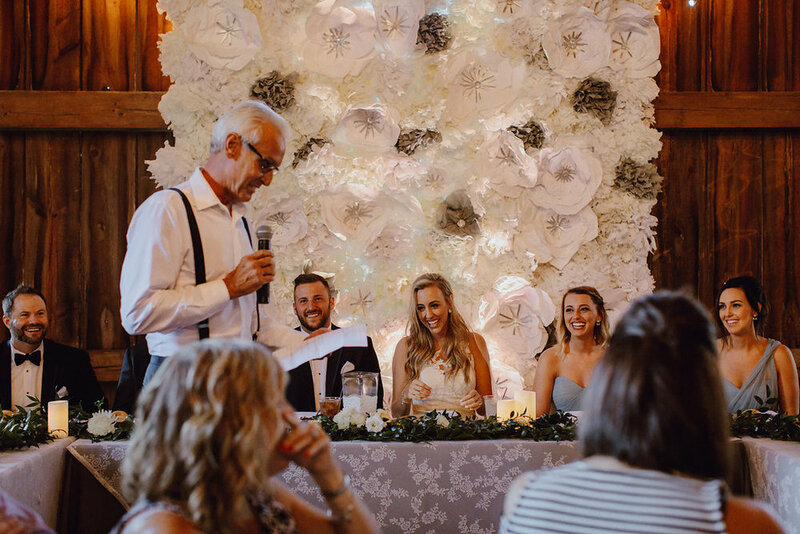 Ryan and Kasi's deep love for each other and their families was apparent the moment we met them at an open house at their wedding venue, Over the Vines. 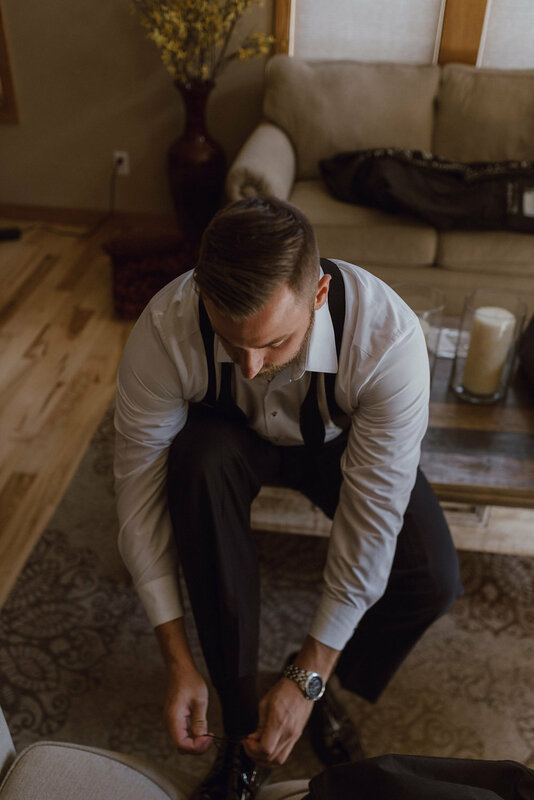 The two of them had made the drive all the way from Chicago to visit their family and talk through wedding plans that day - a true testament to their dedication to their families that only proved greater as the wedding plans progressed. 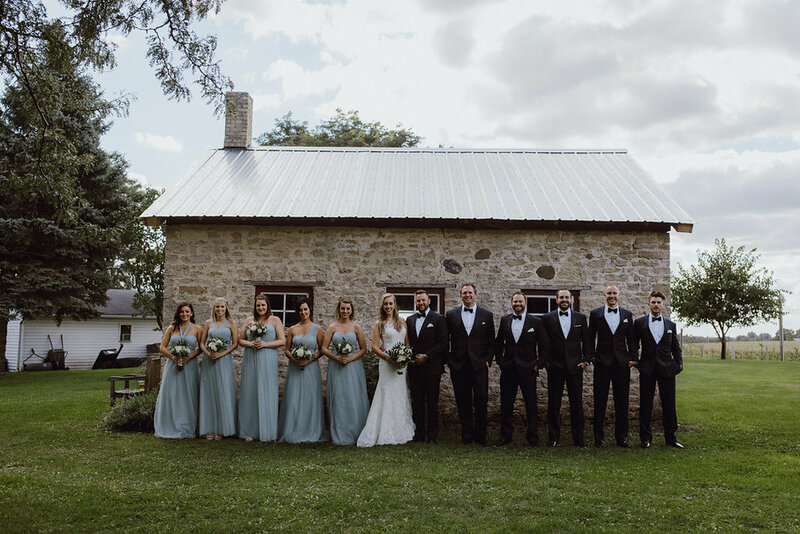 Both Ryan's sister and Kasi's sisters were Kasi's bridesmaids, Kasi's nephew was their adorable ringbearer, and each of their parents was so wonderfully present and involved on their wedding day, it made the entire event feel like an intimate affair. Speaking of intimate - we absolutely adored Kasi and Ryan's cozy venue at Over the Vines. With the inclusion of a beautiful floral wall and centerpieces by Lil Epic Design, elegance in the neutral linens and gold beaded chargers by Event Essentials and other accents of dusty blue, their wedding design perfectly captured their classy style. With a little creativity and help from the OTV staff, we also were able to host both the ceremony and reception within the cozy barn by completing an entire room flip in under 30 minutes! 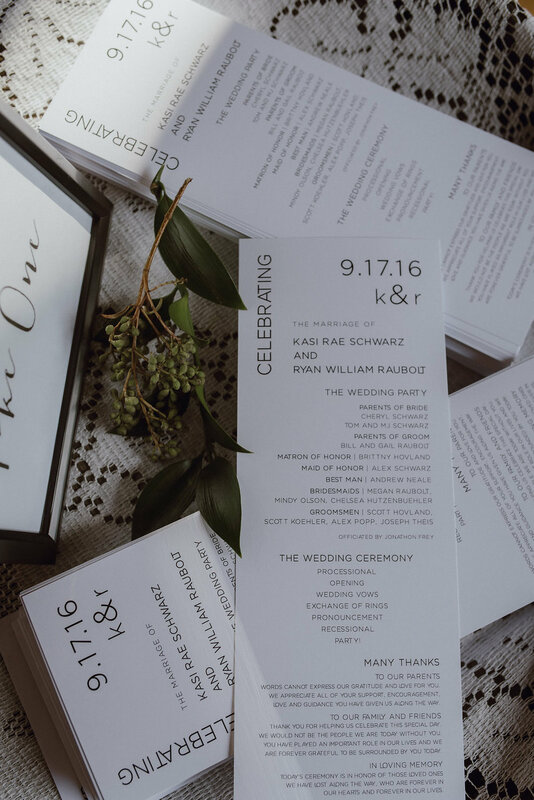 Lastly, it goes without saying that Kasi and Ryan made excellent choices in their wedding day style (seriously, her DRESS), their minimal paper goods and, of course, their incredible photographer, Megan Saul. 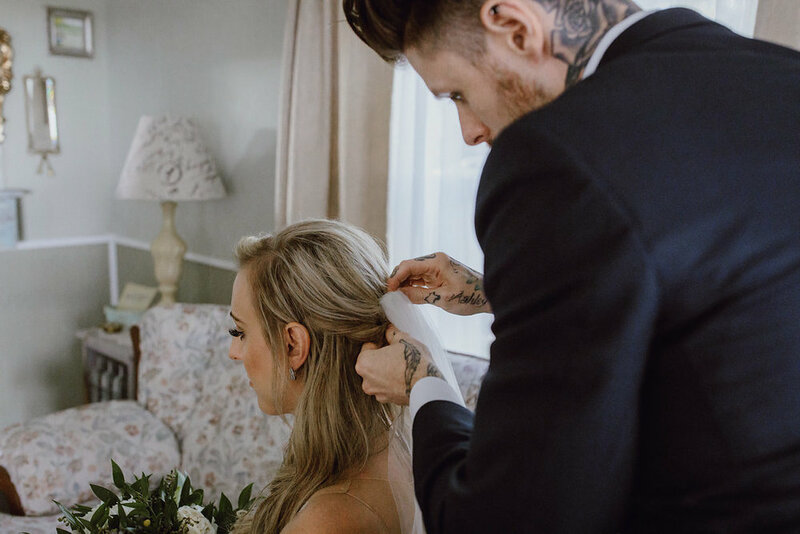 We LOVE the way she was able to capture their intimate moments and the overall cozy vibe of the day in her gorgeous photography style. 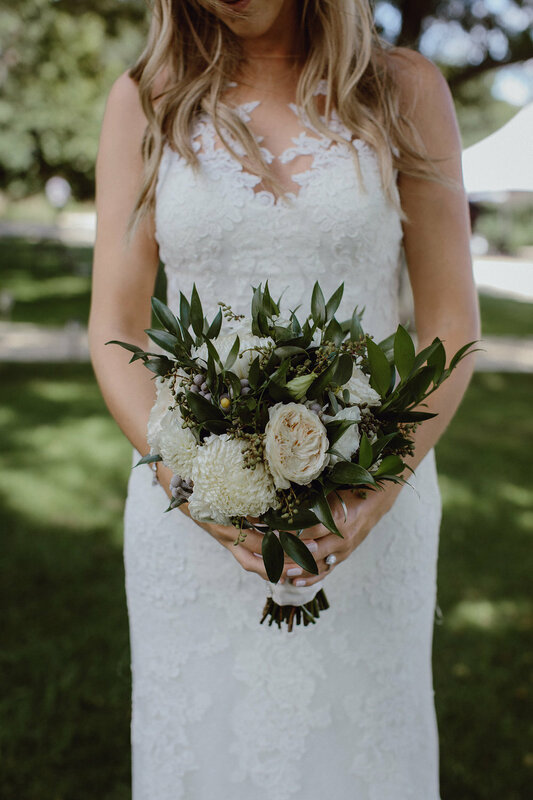 Enjoy some of our favorites from Kasi and Ryan's beautiful September wedding day. Cheers to you, Mr. and Mrs. Raubolt!